With Royalty and A List Celebrities amongst her clientele you can be guaranteed exceptional service and workmanship every time. A great choice for any wedding, you can be rest assured your Eyelashes will remain flawless throughout your Wedding Day and long after, no matter if any tears or rain may appear on your big day. They are the obvious choice for any Bride planning on jetting off onto her honeymoon soon, or straight after her wedding. The lashes are for everyday wear as well as holiday beauty essential. Why choose Camilla to create your luscious lashes look? 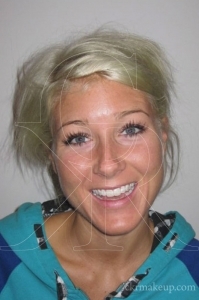 In 2008 Camilla was the first and only Xtreme Lashes Advanced Eyelash Technician to be in London for a year an a half before she trained the next generation of Advanced Technicians. 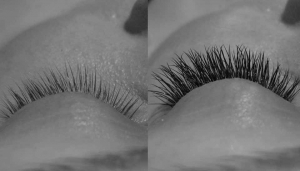 Camilla is also the only Eyelash Extension Specialist in London to be qualified to offer the eyelash extensions on the lower lashes, still individually applied, with the eyes closed. Boasting the largest kit of eyelash extensions in London, Camilla is able to offer you a totally unique set of lashes, dependant upon your what look you are after, your own personal style, the shape and colour of your eyes, the health, length and thickness of your natural lashes. Without the need for curling your lashes or adding mascara to create length, curl or volume, you are able to wake up feeling beautiful everyday with the most incredibly natural looking lashes. 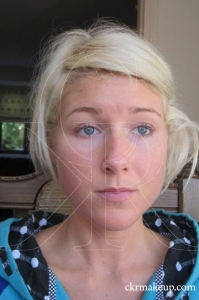 Individually applied, one by one, it is the safest and most natural way to apply eyelash extensions. Camilla is trained in understanding natural lash health and strength, you can guarantee that with the correct aftercare there would be no damage to your natural lash during this procedure. When the correct, simple aftercare is followed (using the correct cosmetics) you can expect to have gorgeous, full, luscious lashes for up to 6-9 weeks. There is no damage caused to your natural lashes. You can shower, sweat and cry without having to wipe away any running mascara, keeping your look remaining flawless 24/7 with the help of your lashes! Perfect for any special occasion, wedding or holiday you may have coming up, or even if you would just like to treat yourself to the luxury of waking up feeling beautiful everyday. It will save you time on your morning routine, so you can just wake up and start your day, without necessarily feeling the need for any make up.